To speak of the independence of some thing is to neglect its dependency. For, to speak of any thing is to open its relationality to, relationship with, another. Which makes the term indie art a strange one — and brings with it the question, independent of what? Certainly, one of the hopes of most artisans is for their work to be free from external pressures — most commonly, commerce. However, the fact that work is always already material, entails materiality, suggests that it is inextricably tied to exchangeability. For, even if the artisan did not pay for the said materials, the fact that they are now utilised for the work and not for another purpose, suggests that an exchange has taken place, where the withdrawal of the materials from circulation suggests a certain cost — an opportunity cost, if you will . However, even as this is an important consideration, this does not address the notion of art itself: for, this flattens the difference between work and art. For, surely not everything an artisan produces can be considered art. So, let’s begin again, start anew. To begin to speak of indie art, one must first address the question: what is art? Which is a question haunted by another question, a dependent question: is art, art, without the frame? After all, a painting of sunflowers onto a wall is considered graffiti. With(in) a frame it is — or, at least, is potentially called — art. It only has a name — one might even say it is called to its name — within those walls. is it only art when it has a name? that of the work, or that of the one who signs on the work? Questions that we momentarily defer to consider: where does the art lie? for, who has not been genuinely moved by some work? But in this, the notion of names continues to be a spectre: for, is it the name that lends the aura to the work? Would one be moved when standing in front of graffiti? It is certainly possible: after all, no one questions the power of Banksy’s work. However, the moment one knows — or even, thinks that, imagines that — it is a Banksy, the link between the work and the name remains. A more interesting question is perhaps then: can a replica have an aura? For, if the aura lies in the work itself, there is no reason why a perfect replication — whether or not this is possible is another question — should not. This being a particularly pertinent question in the digital age: for, is there an un-original code to begin with? Or, at least: is there any difference between the first incarnation of a code, and whatever comes after. However, there is little doubt that there is something different about an original: whether this is rational or not, or if it even has an explanation, is perhaps not quite the point. And perhaps, it is precisely the unlocatability of art that has to be considered. Which opens a new register in the relationship between art and independence. For, if art is unlocatable, then surely it is always already independent — that would make the phrase indie art, tautological. And, if unlocatable — and its aura can only be glimpsed as we stand before it — this also suggests that the experience of art is singular. And, as we cannot account for the origin of this aura, we can never know when we are in the presence of art until it affects us. And, more than that, as Plato, channeling — writing — Socrates, teaches us, for craft to move into the realm of — to transcend itself in becoming — art, the artisan needs a divine moment, needs to be affected by a whisper from the daemon. But, since this is a moment that comes from beyond, this suggests that it is exterior to the artisan’s knowledge, self, perhaps even being: where, it might well be a moment in which (s)he knows not what (s)he is doing. A moment that (s)he could well be authoring the work as art — authorising the work as art — for herself. Perhaps then, in order to experience art, we might need that moment too, in which we see a work with new eyes. 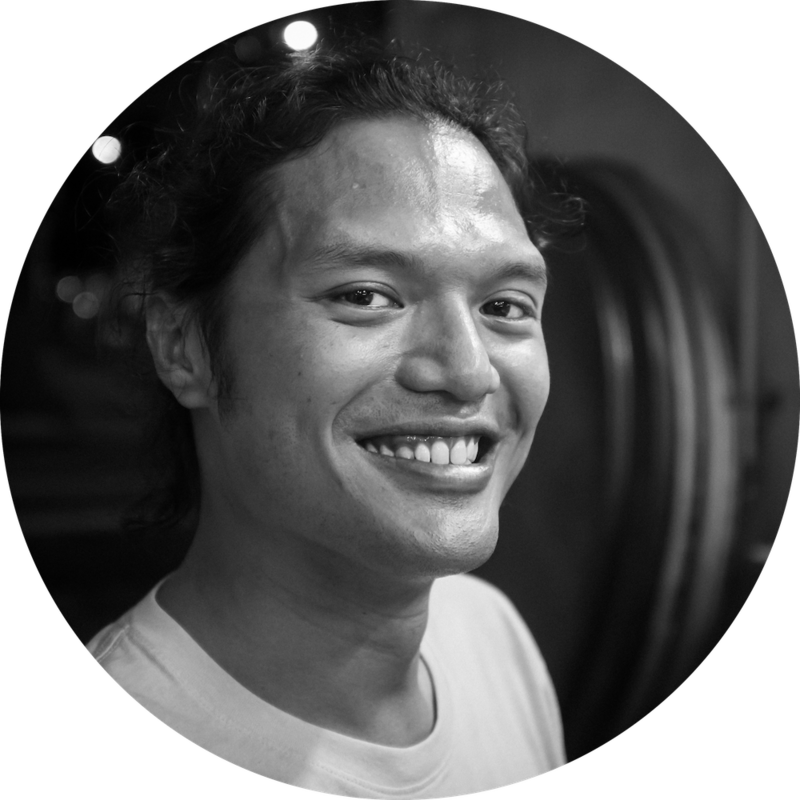 Jeremy Fernando reads, writes, and is the Jean Baudrillard Fellow at The European Graduate School. He works in the intersections of literature, philosophy, and the media, and his more than twenty books include Reading Blindly, Living with Art, Writing Death, in fidelity, and resisting art. His writing has also been featured in magazines and journals such as Arte al Límite, Berfrois, CTheory, Full Bleed, Qui Parle, TimeOut, and VICE, amongst others, and has been translated into French, German, Italian, Japanese, Spanish, and Serbian. Exploring other media has led him to film, music, and the visual arts, and his work has been exhibited in Seoul, Vienna, Hong Kong, and Singapore. He has been invited to perform a reading at the Akademie der Künste in Berlin in September 2016, and in November 2018, to deliver a series of performance-talks at the 4th edition of the Bienal de la Imagen en Movimiento in Buenos Aires. He is the general editor of both Delere Press and the thematic magazine One Imperative, and is a Lecturer & Fellow of Tembusu College at The National University of Singapore. 1 Here, I am in agreement with Sylvère Lotringer and Jean Baudrillard, both of whom argue that use-value is a misnomer: for, the value of something lies in it being exchanged, in its exchangeability, is premised on, can only be generated through, exchange. Thus, exchange-value is tautological. One might even say that the term use-value attempts to maintain the notion, even illusion, that materiality has an inherent value, that there is a ‘proper use’ for something — and in that way, is an attempt to hold on to the fantasy of a means of production where exchange is not an abstraction; where we are not alienated, always already separated, from that production. And stave-off the fact that our relationship with materials, with the world, with any and every other — even if it involves production — is always already mired in exchange, in valuation, in consumption. 3 Here, we should try not to forget that each time one writes, inscribes, authors even, one is fixing something in time, placing it — at least momentarily — in stasis. And also, giving it a name: bearing in mind — for, this should always be a burden on one — that naming something or someone is doing nothing other than preparing it for death; preparing it, her, him, for the time when there is nothing to call, to remember, recall, her, him, it, by, except for its, his, her, name. A earlier version of this essay was published in Berfrois: Literature, Tea, Ideas in July 2018. © 2019 So-Far Pte. Ltd. All rights reserved.